This is mom’s Tirunelveli style puli illa kari ( i.e. Kuzhambu for rice without tamarind). 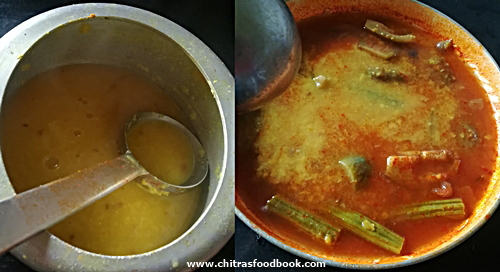 Puli illa curry is usually prepared adding drumstick leaves (Murungai keerai). But my mom makes it with drumstick, brinjal and onion. There are two methods of making puli illa kari. One by roasting & grinding pepper, cumin, red chilli and coconut. Another method is by grinding coconut, cumin and onion just like poricha kuzhambu. My mom uses pepper if she adds drumstick leaves else she follows the second method. Today I have shared the same. 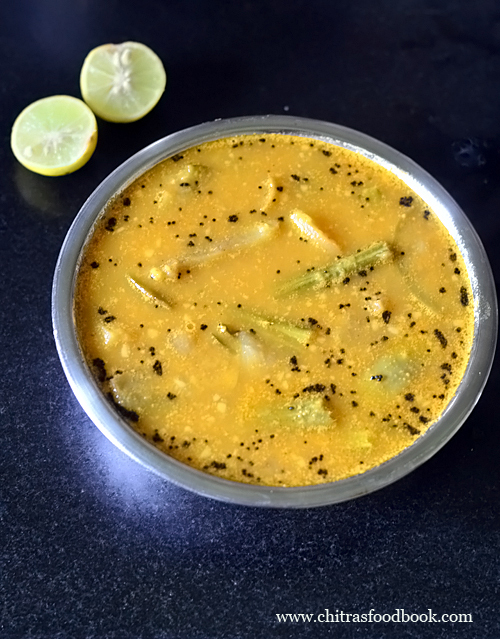 Similarly this kuzhambu can be prepared with toor dal or moong dal. As this kuzhambu is without tamarind and tomato, we add some lemon juice while serving. 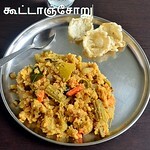 Friends, do try this easy puli illa kuhambu for rice and share your feedback with me. 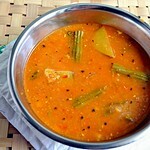 Collection of all Tirunelveli style recipes ! 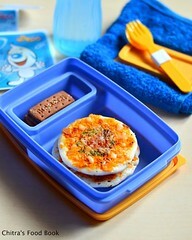 Small onion - 2 nos. Wash and pressure cook toor dal adding enough water, turmeric powder and few drops of oil. Pressure cook in low flame for two whistles. Open the lid after steam is released. Mash the dal. Grind coconut, onion and cumin to smooth paste. Set aside. Wash and chop brinjal, drumstick and onion. In a kadai, heat oil and saute onion. Add brinjal, drumstick. Saute for a minute. Add 2.5 cups of water, required salt, red chilli powder. Boil and cover cook till vegetables are cooked. Now add the cooked dal and ground coconut paste. Boil for few minutes. Temper mustard seeds and curry leaves. Add to kuzhambu and Switch off the flame. Serve hot with rice and enjoy ! Wash and chop onion, brinjal and drumstick. Wash and pressure cook toor dal adding turmeric powder, a drop of cooking oil. Cook in low flame for one whistle. Open the cooker after the steam is released. Mash the dal well. Grind coconut, cumin seeds and small onion to a smooth paste. Keep it aside. Heat oil in a kadai. Saute small onion till transparent. Add chopped brinjal and drumstick. Saute for a minute. Now add 2 cups of water, salt and red chilli powder. Cover the kadai and cook in medium flame till the vegetables are cooked well. Now add the cooked dal and ground coconut paste. Boil for few minutes. Temper mustard seeds and curry leaves in 2 tsp of oil. Add to the kuzhambu. Switch off the flame. Serve hot with rice. While serving, you can drizzle few drops of lemon juice in the kuzhambu and mix with plain rice. Enjoy ! Adjust the quantity of red chilli powder as per your taste. For variations, you can add roasted and ground pepper, cumin, coconut and red chilli paste instead of red chilli powder. If you have drumstick leaves, you can pressure cook in separately. Add to the kuzhambu along with vegetables and make it. It tastes and smells good. 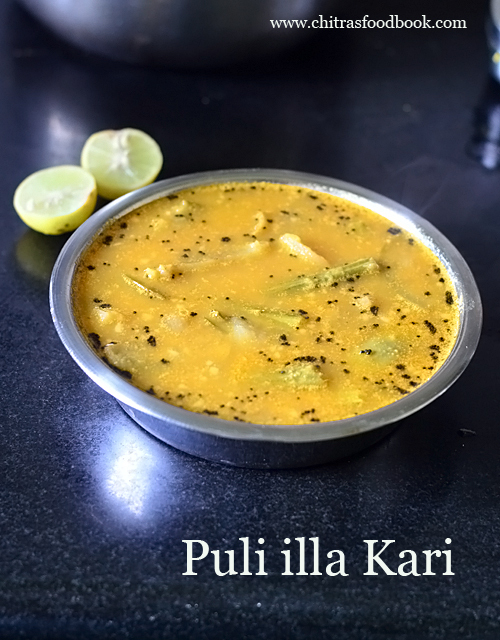 Try this easy, yummy Tirunelveli style Puli illa kari and enjoy ! Manoharam is a traditional South Indian sweet dish kept in marriages, Seemandham and naming ceremony as seer bakshanam. It is popularly known as Paruppu thengai among Tamil Brahmins. Paruppu thengai koodu is very well decorated and kept for display in most of the occasions.Paruppu thengai koodu is basically a pair of conical shaped containers filled with a variety of nuts like ground nuts, cashew nuts or fried gram dal/ pottukadalai rolled in jaggery syrup or its filled with this Manoharam sweet. I still remember my MIL made this paruppu thengai with pottukadalai for my valaikaapu function. 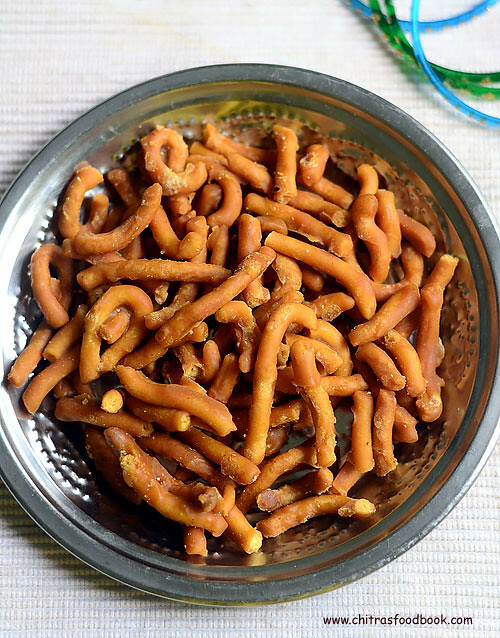 Manoharam is made with fried murukku/thenkuzhal rolled in thick jaggery syrup (Vella paagu) flavored with cardamom powder or Dry ginger powder (Sukku podi). Many people make it as manoharam balls during Karthigai deepam festival. 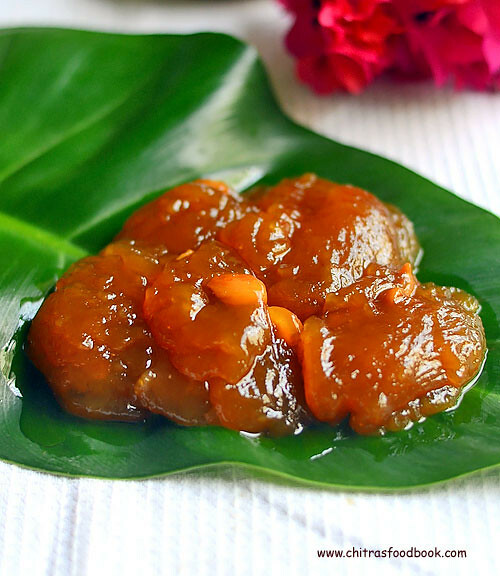 In Tirunelveli, apart from Iruttukadai Halwa, Manoharam is also a very popular sweet dish. We call it as “Manavalam” colloquially. 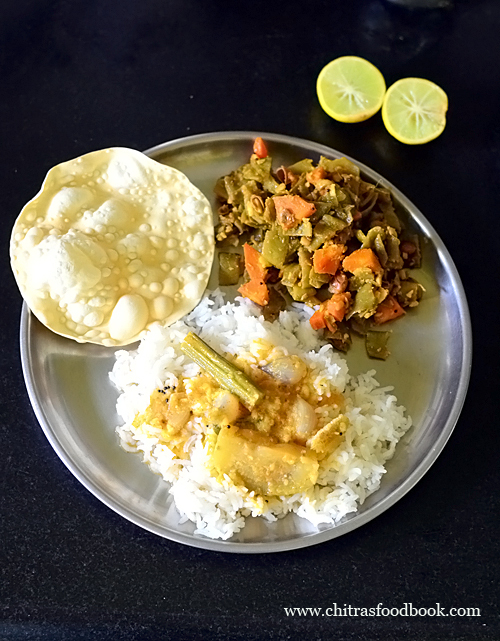 Last year a reader asked me to share Tirunelveli manoharam recipe during Diwali. As I had completely forgotten its taste, I couldn’t try and post it. Recently I told my Appa to get a pack of Manoharam from Tirunelveli.After tasting it, I got an idea about it and tried at home by watching the Youtube video by Ponna mami. It came out very well with a nice flavor of dry ginger powder. Its an addictive snack. I can much it all through the day !! I found varieties like Kerala Manoharam and Chettinad Manoharam recipes which are different in ingredients and procedure as well. Soon I must try them too. 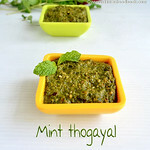 Today lets see how to make Tirunelveli Manoharam recipe with step by step photos ! How to make Tirunelveli Manoharam recipe - a most popular snack ! First lets prepare the murukku.For this, sieve besan and rice flour in a wide bowl. Add salt, hot oil and ghee to the flour. Mix well. Then add water little by little and make a dough. I made the dough very sticky as shown in the original recipe. So it was very easy to squeeze. Take the murukku press and use a single hole or three holed mould. Grease the press with oil. Fill the dough and set aside. Now heat oil to deep fry and drop a pinch of dough.If it rises to the top immediately, oil is hot. Now simmer the flame and squeeze the murukku either in a circular manner or as a straight line. Don’t worry about the shape because we are going to break them into pieces. Cook both the sides till bubbles cease. Do not fry in high flame, murukku will turn dark. So fry it patiently. Remove in a paper towel. Deep fry all the batches. Let it cool down completely. Take the powdered jaggery, sugar and water in a kadai. Mix & melt it. Strain the syrup if needed. Let the syrup roll boil and reaches soft ball consistency. To check this, take some syrup and pour it in a plate with water. Gather the syrup and try to make a soft ball. It is called soft ball consistency. Switch off the flame. Add dry ginger powder and mix well. Now break the cooled murukku into pieces ( make small pieces if you are making balls,else break them roughly) and add them to the jaggery syrup. Mix well. Make sure all murukku pieces are coated with the syrup. Make balls when it becomes warm enough Or Remove in a plate and let it cool. They look cluttered, remove them carefully and keep it in a plate. Serve & enjoy ! The consistency of jaggery syrup is more important.It should be in soft ball consistency or even slight hard ball is fine else the syrup won’t coat well. Dry ginger powder adds a nice flavor. It aids digestion too. So don’t skip it. You can use soft butter instead of ghee. 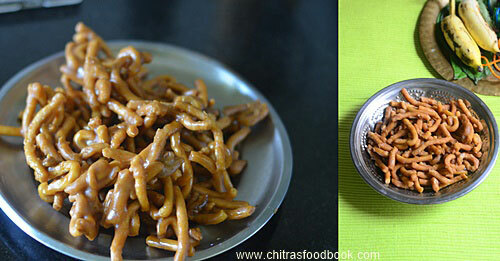 Try this yummy, addictive Manoharam snack at home and enjoy ! Tirunelveli halwa using wheat flour / Godhumai halwa with step by step photos and video. My mom & dad are basically from Tirunelveli, Tamil nadu but settled in Salem. But all our relatives are in & around Tirunelveli. Right from my childhood, we used to travel there at least once in 6 months to my thatha aachi’s house. Most of my summer vacations are spent there. My thatha used to buy the most popular Iruttukadai Halwa and Oma podi from Shanthi sweets for teatime without fail. Having tasted this Halwa for N number of times, I have never imagined myself trying it at home. In 2010, I watched few video recipes and tried Tirunelveli halwa recipe for the first time.Though it tasted the same like TVL halwa, I used food color to bring its brown color. At that time, I was not aware of certain tips and tricks to make a perfect Tirunelveli halwa without adding food color. And now after seeing so many websites and video recipes, I came to know its technique. 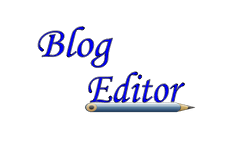 So I wanted to make it again and post it in my blog for this Diwali. Authentic Tirunelveli halwa calls for soaking and grinding Samba Godhumai ( Whole wheat grains), extracting the milk ( Godhumai paal) and fermenting it overnight. I followed this method for my earlier recipe. But this time, I simplified its procedure by combining the methods of easy wheat flour halwa recipe in Jeyashri's blog & traditional Tirunelveli halwa recipe from Dosa to pizza youtube video recipe. I altered the quantity of ingredients and changed the procedure accordingly. I made it using instant wheat flour( Godhumai maavu), used oil + Ghee to bring its texture and added caramelized sugar to bring its color naturally. Wow, You won’t believe me, it came out very close to original Tirunelveli halwa in both color & texture. There is no compromise in taste with the authentic halwa. Generally Thirunelveli halwa is not made into pieces.So you don’t need to look for any sugar syrup consistency. This halwa itself will show you the correct stage to remove it. So beginners can also dare to attempt this recipe at home. But the most important thing you need is “PATIENCE”. Yes, This halwa takes around one hour for preparation & cooking time but the end result will make you forget all the pain and get credits from your family members for sure . I got tempted by the pictures of Halwa kadai online website and clicked my halwa in a leaf. I am very happy to see the ghee dripping hot halwa in the picture as I wished . So here you go, the world famous Tirunelveli halwa recipe using wheat flour in an easy way with step by step photos and a detailed video tutorial just for you all . If you are looking to try the traditional method, do check this post ! Jil Jil Jigarthanda recipe – I still couldn’t believe I made this world famous Madurai special cool drink at home and that too from scratch. Jigarthanda is an yummy super cool drink packed with all the benefits of badam pisin,Nannari sarbath and milk.The term Jigarthanda refers to “a drink that cools the heart”.It is very popular among Muslim settlers in South India.I tasted this drink very recently once in Tirunelveli and twice in Salem at Madurai Vilakuthoon Hanifa’s Jigarthanda outlets.I made an instaclick and shared a picture of it in Instagram too. 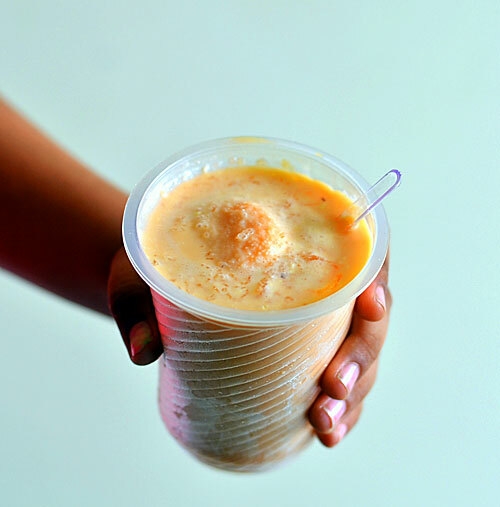 Last year when my fellow bloggers shared Jigarthanda recipe,I got tempted to try it at home. But I was not sure about the actual ingredients used in it.After tasting it once,I was able to guess the recipe and started browsing for the same.Few weeks back I got a request from a reader to try n share this recipe in my blog.So I decided to give this a shot and found this recipe from sharmi’s blog & this video very helpful to make the authentic Madurai Jigarthanda. So I followed them & made Jigarthanda from scratch except Nannari sarbath/Sarsaparilla syrup and Kadal paasi. Original Jigarthanda recipe may use Kadal paasi or badam pisin. But I used badam pisin as suggested in the recipe. First I bought badam pisin/almond gum(Almond resin in English) and Nannari sarbath from Salem Nattu Marundhu kadai. Then I collected all the other ingredients and made it in my own pace. It took nearly 1.5 days for me to make Bhai ice cream, for soaking Badam pisin and to make reduced milk. So I have suggested an easy method of making Bhai ice cream using store bought vanilla ice cream.Hope it would work.One thing I should admit here.I was not able to bring the orange color in ice cream and reduced milk following the original recipe.But somehow I wanted to recreate the shop ones.According to me,the color of milk turns orange only when we add caramelized sugar.So I added little caramelized sugar in reduced milk and a pinch of orange food color in ice cream.I am not sure whether food color is added in the authentic recipe,but I became very happy & satisfied when my Jigarthanda looked and tasted very similar to the ones I had. What do u say friends, Isn’t it looking similar to the Madurai ones ?? Eggless Vettu cake recipe / Tea kadai sweet bonda / Vedi cake / Muttakose - People in and around Tamil nadu, Kerala knows very well about this tea time snack and call by different names. For people who are new to this recipe, let me tell u what it is.This vettu cake aka vedi cake is nothing but sweet bonda/deep fried dumplings made using maida, sugar and eggs. Its one of the famous tea shop snacks recipe in Tamil nadu as well as Kerala just like samosa and besan bonda. When I shared tea shop style besan bonda recipe, our fellow blogger friends were asking me about this vedi cake recipe in the comments section. At that time, I wasn’t aware of this recipe. I vaguely remembered seeing this sweet bonda in Tirunelveli/thoothukudi tea shops which is called as "Muttakose"( Info by my sister Radha ;)). Then I started hunting for this recipe to try on my own. But most of them were with eggs. Of course the authentic version uses eggs but being a vegetarian, I was looking for eggless version and finally i found it from Kurinji's blog. When I saw the picture in her blog, I was so excited as it resembled the one we get in Tamil nadu tea shops. Not just the picture, her recipe is also perfect.I have tried it twice so far and it came out very well. She also shared some tips with me when I mailed her asking some queries :) So I made some slight changes and shared the recipe here. Do try it this weekend and enjoy your tea time with your family . Also don’t forget to try out my instant besan bonda-tea shop style for a spicy accompaniment . But remember you should serve everything hot to enjoy its best taste . I came to Salem two days back to celebrate Saraswathi pooja & having a great time here. 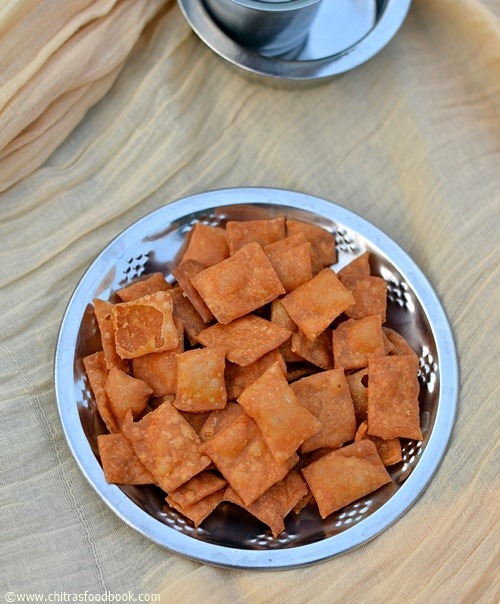 Yesterday I went to my mom's place for half a day.I had my mom's lunch happily after a long time & i told her to prepare this easy, Tirunelveli famous snack recipe,Thukkada.Thukkada is nothing but spicy wheat flour chips. Yes,its made of wheat flour spiced with chilli powder. I saw some versions using garlic and Red chillies paste. But my mom makes it very simple just by adding red chilli powder to wheat flour. 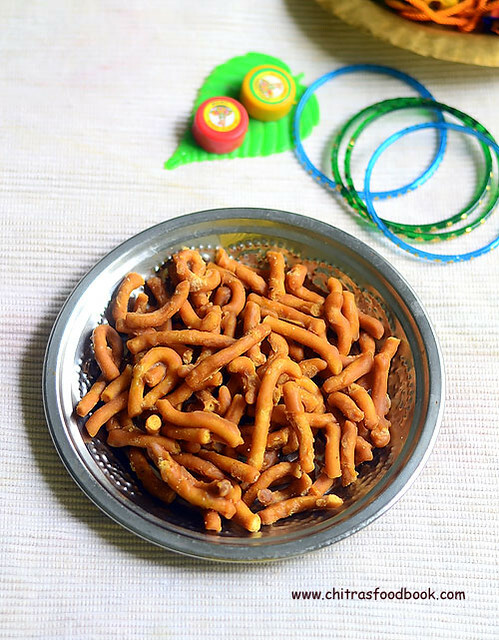 She usually make this spicy snack at the time of Diwali along with Thenkuzhal.When I was thinking about easy savories recipes for Diwali,I reminded about this crispy,guilt free snack and thought of sharing here.My MIL also makes a similar snack recipe using maida called as spicy diamond cuts.I have tasted sweet thukkada too. I will share that version soon.Do try this easy,crispy, yummy thukkada this weekend & to crack this Diwali :) Its very easy to make and comes out crunchy too ! Don't forget to check "Notes" section. Check out my sweet maida biscuit too. 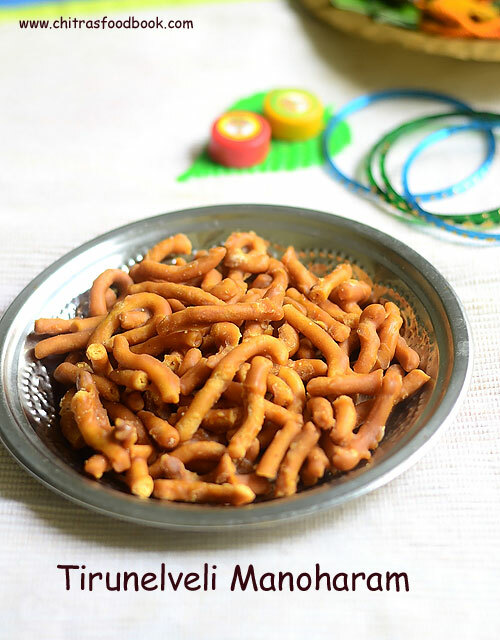 Easy,spicy Nellai famous thukkada recipe for Diwali ! In a wide bowl,take the wheat flour,salt,red chilli powder n oil(optional) .Mix well,Then add water little by little and make a tight dough. ( Add water carefully.If u make the dough sticky n soft,u won't get crispy thukkada & also do not add more flour if the dough becomes sticky,thukkada will become very hard). 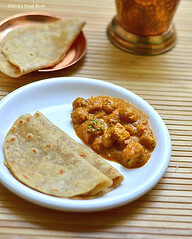 Let the dough sit for 10 minutes.Then make uniform balls,dust with wheat flour and roll it like a thin chapathi.Use a knife or pizza cutter and cut into diamonds or squares.Place all the pieces in a news paper.No problem if the pieces stick to each other.It will separate while frying. Heat oil and deep fry them in batches till bubbles cease completely.U will get golden brown thukkada.Remove in a tissue and let it cool.Deep fry all the batches uniformly.If u don’t fry one batch properly,it will become soggy and it will spoil the entire snack. Store in a box n enjoy with tea or coffee! It stays good for months if properly done. U can replace red chilli powder by garlic,chilli paste.To make this paste,grind 5 cloves of garlic along with 4-5 red chillies to a smooth paste. The most important thing to make perfect thukkada lies in the dough.If the dough is too soft n sticky,thukkada will become either hard or soggy.So make the dough tight & perfect.Do not use more flour for dusting.Dust once or twice. 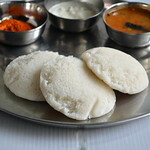 ENJOY THIS SPCIY THUKKADA WITH TEA/COFFEE ! ITS ADDICTIVE ! 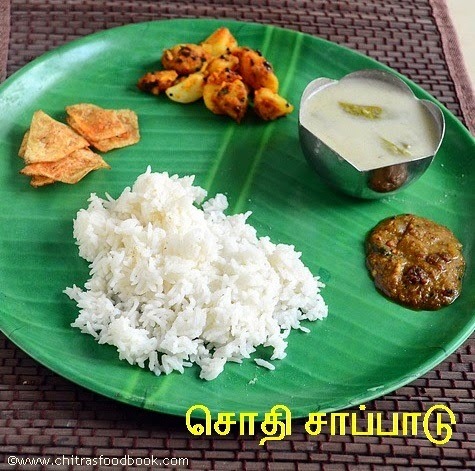 In Tirunelveli (Nellai), Sodhi kuzhambu, Inji pachadi/Ginger pachadi, Potato poriyal with chips would be the special lunch menu for newly married couples when they are invited for feast.So it is also called as “Mappillai sodhi” as it is considered to be most special. Sodhi saapadu is a must and should in all Tirunelveli marriages. Usually our marriage function takes place for three days.First day evening would be reception/Maapillai azhaippu, Second day would be the marriage and third day is for maruveedu. This sodhi kulambu should be served on third day maruveedu function on behalf of maapilai veedu. Most of the relatives stay back all the three days of marriage function just to enjoy this sothi kuzhambu . Even though my marriage was held in Salem, my dad arranged sodhi saapadu for our Nellai relatives on the last day of my marriage function. It is very very special for our nellai people . Ginger pachadi / Inji pachadi, potato curry and chips are the best side dish for sodhi kuzhambu. As sodhi is completely made out of coconut milk, ginger pachadi helps for easy digestion .So If u prepare sodhi, make sure u keep inji pachadi as a side dish. It tastes very similar to kerala style puli inji . I usually make sodhi whenever I have lots of coconut in hand. Last time when I went to salem, my MIL gave me 3-4 coconuts. I made coconut burfi and sodhi with it. 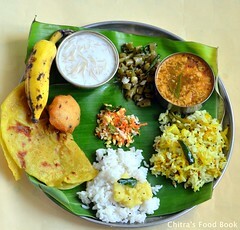 After a long time, I prepared and enjoyed a nice Tirunelveli lunch menu at home. 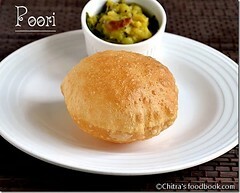 U can find so many variations for this particular sodhi recipe on net. The one I have shared here is my mom’s authentic version which she has been following for more than 25 years. Lets see how to prepare sodhi saapadu easily at home. Do check out my Nellai style ulutham paruppu sadham,ellu thogayal,avial lunch menu if interested. Soak tamarind in water for pachadi.Wash the potatoes for poriyal.Pressure cook potatoes along with moong dal for sodhi.It would be done in 15 minutes. In another cooker,pressure cook rice adding required water. In the mean time,u can chop onions for poriyal and onion,garlic cloves,drumstick,green chillies & potato cubes for sodhi.Chop ginger into roundels for pachadi. Let the moong dal dal & potatoes pressure cook for one whistle in low flame.Switch off the stove and after the steam is released,open the cooker and remove the boiled potatoes with a tong.Let it cool.Peel the skin and cut into small cubes.Mash the dal with a ladle and set aside. Next grind green chillies with salt and make a paste. Cook all the veggies in third milk in a big bowl.It takes nearly 10 minutes.In the mean time,heat oil in a pan,temper & saute onions for potato poriyal.Add the cubed potatoes,chilli powder,turmeric pwd & salt.Get it done.Remove in a plate.Poriyal is ready now! Wash the kadai and again heat with 1 tbsp of oil.Saute the onions,chillies,garlic cloves & ginger bits.By now vegetables will be cooked well in thrid coconut milk. Now u can add the second milk,mashed dal,sauteed veggies & green chilli paste.Let the gravy boil well for 5-8 minutes. In that 7 minutes,heat oil in a pan in another burner and saute ginger bits,dhania and red chilli for pachadi till u get nice aroma.Grind it to a smooth paste adding little water. Mix the paste with tamarind extract and set aside.By now, sodhi will be thickened.So add the third coconut milk and boil for 2-3 minutes.Adjust the salt . Switch off & let it become warm.Keep aside. Now heat oil in a pan and temper,saute onions for pachadi.Add the tamarind extract mixture,salt,jaggery & allow it to boil till it thickens a bit.Pachadi is ready ! Take raw banana or potato for chips.Wash it well & peel the skin.Keep a bowl full of water ready.Take the slicer & slice the veggie.Drop into the water bowl & let it soak till u deep fry.This is to avoid discoloration. Now pat them in a towel & deep fry in batches.Sprinkle salt n chilli pwd & toss well.Chips is ready to munch ! By this time,sodhi would be warm.So squeeze the lemon & mix well.Check for taste. Serve everything in a plate and enjoy this yummy Tirunelveli feast !! As i had prepared potato poriyal,i made raw banana chips.Usually potato chips is served with sodhi.So instead of potato poriyal,u can also make mixed vegetable poriyal.In that case,u can make potato chips. Enjoy this yummy Tirunelveli style sodhi,ginger pachadi,potato curry n chips.Tastes divine !! Tirunelveli famous Kootanchoru @ kadamba sadam is one of the signature recipes of my mom.Mostly Nellai people make this rice for picnic/trips and for guests.This is one of the best foods for travel.It stays good for one to two days without refrigeration.When(me & my sis) we were young,we used to go to thatha,aachi’s house in Nellai for every summer vacation.My periamma and chithi also comes with their family.We go for a one day trip to tiruchendur & kutralam every year.Amma,periamma and chithi together prepare this rice in early morning in a big eeya paanai traditionally for 10-12 people and pack in a big vaali(thooku chatti) for travel.We have this rice for lunch in a piece of vazhai ilai(banana leaf) after a nice bath in five falls,kutralam. With the awesome smell of banana leaf,it tastes great & we all have minimum of two servings .Vathal/vadagam or appalam is the best side dish for kootanchoru.This rice tastes the best after it cools down. Last week my mom was with me for two days.I told her to prepare this rice for our lunch and of course for blogging because some of my Nellai readers asked me to share kootanchoru recipe after trying my uluntham paruppu sadam.I asked my mom to prepare using pressure cooker but mom said making this rice in eeya paanai or indalium vessel or kadai gives the right consistency to the rice,vegetables and tastes great.As she said,it was very flavourful and tasty.But she also told the method on how to make in pressure cooker if needed.I have shared it below .Kootanchoru is very easy to prepare if u have chopped onions & vegetables ready in hand.It takes just 20 minutes to prepare this rice.I personally feel,it is better to do chopping & grinding work the previous night if u plan to make this rice for next day travel. Sendhil had it for the first time and loved it.We had this rice for lunch and the leftover for dinner too.My mom & dad packed this rice in a foil box & took it for their train journey.Friends,if u plan for a picnic,do prepare this rice.I am sure u can have a delectable lunch. 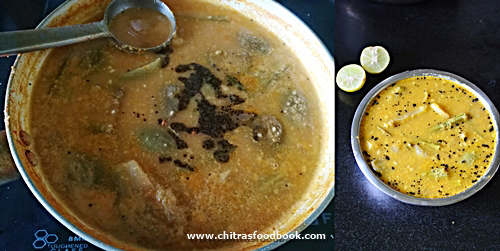 Tirunelveli style kootanchoru recipe – Ideal & tasty food for travel ! Grind red chillies adding required water to make a smooth paste.This is paste-1.Set aside. Wash and peel the small onions,garlic cloves and grind with jeera& water to make paste-2. Soak tamarind in enough water.Take the extract using 1.5 cups of water and mix the paste-1 & paste-2,turmeric powder and salt. Wash and chop all the vegetables of uniform size and keep the raw banana & potato cubes immersed in water till use.Chop drumstick,chop raw mango into big cubes as shown in the picture. In a big vessel(preferably, eeya paanai or indalium vessel) take the mentioned quantity of water.When the water starts to boil,add toor dal,turmeric powder.Allow it to cook till the dal blossoms.It should be mashable. After the dal is 3/4th cooked,add all the vegetables & keerai(greens) except raw mango pieces.It takes 10 minutes for all the vegetables to cook.Keep stirring whenever necessary. After 10 minutes,wash and add the rice.Again boil for 10-15 minutes and check whether rice is done.Rice absorbs all the water and gets cooked.Add the required salt. Check if the rice is cooked properly.Use back of the ladle to mix the rice to avoid it turning too mushy.In the mean time,heat 1tbsp oil in a kadai and saute onions,green chillies & add to rice. Now add mango pieces.It takes 5 minutes & mango pieces will be half cooked. Now add the tamarind extract mixture and allow it to boil for 5 minutes in medium flame.Keep stirring every now & then to avoid burnt bottom. Remove the mango pieces alone after it is cooked yet firm in shape else mango will become mushy & mixed with the rice completely leaving the skin.It makes the rice tangy. Use back of the ladle or fork like ladle to mix the rice.Lastly add grated coconut & mix well. Finally, temper all the ingredients given under”to temper” and add to the rice.Rice looks mushy initially but its consistency will get adjusted after it cools down. Just before serving,add the cooked raw mango pieces & mix well. Give a standing time of minimum one-two hours because it takes this time for all the taste to blend well with the rice. Serve with koozh vathal/Vadam..!! Tastes great !! **Do not use ur hands at any cost while serving.Rice will be spoiled very soon.So always use a ladle. Take toor dal with 2 cups of water in pressure cooker and cook in high flame for 2-3 whistles. Remove the lid and add the rice and chopped vegetables except raw mango.Cook it adding 6 cups of water & salt. After rice is cooked,open the lid and add the sauteed onions,chillies,tamarind extract mixture & raw mango pieces & salt if needed. Allow the raw mango to cook well. Rice absorbs all the tamarind extract mixture.Use fork like ladle to mix the rice.Simmer the flame & boil for few minutes. Lastly add grated coconut & tempered ingredients.Mix well,check for taste.Give a standing time of 1-2 hours & serve with vathal/vadam. If the rice is too spicy,add little tamarind extract & grated coconut.It balances the taste. If the rice is too tangy,add some chilli powder mixed in water & boil for sometime with rice.Add little salt if needed. Adding a handful of drumstick leaves & arai keerai is suggested for this rice.But i din’t add both as i din’t have the stock. Raw mango is purely optional but it gives a nice flavour to this rice.If u don’t add raw mango pieces,use big lemon size tamarind. 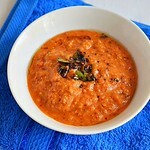 Adjust the quantity of red chillies based on ur taste buds.But use tamarind in correct quantity if u reduce chillies. 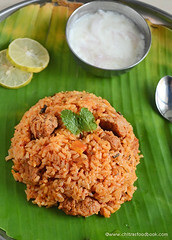 Pack this rice in a foil box for ur travel and enjoy with vadagam/Vathal & appalam.It tastes great !! !